Join the ranks! The Fife and Drum Corps is a student-staff musical ensemble dedicated to representing the fort’s history through music. The Fife and Drum Corps program at the fort runs from February through August each year. 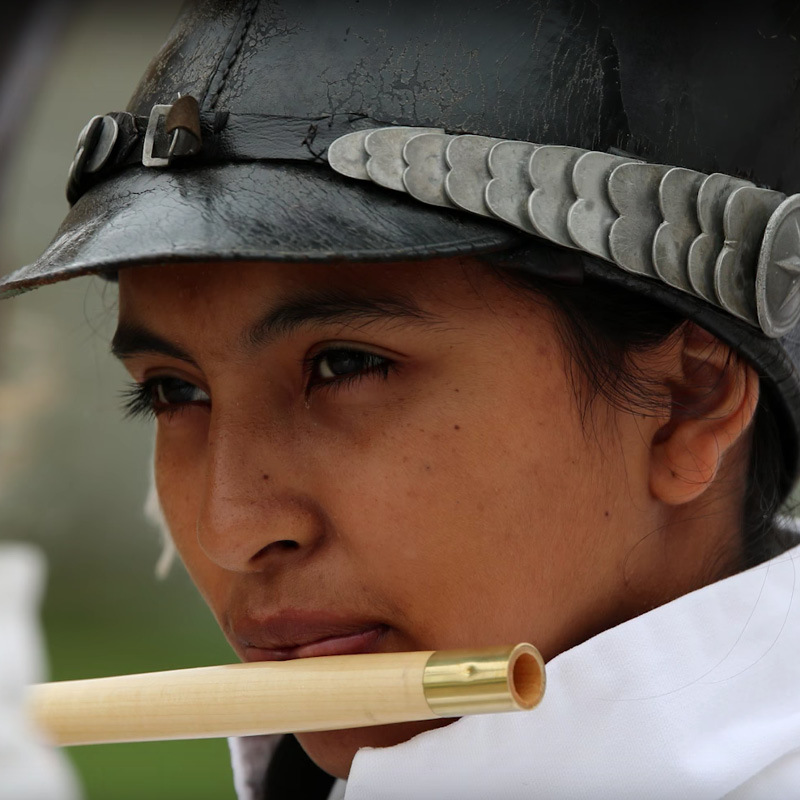 Through this program, students age 14 and older have the opportunity to volunteer as musicians and perform in concerts and field shows in the fort, from late May through mid-August. The corps also performs in concerts and parades in the Twin Cities area. Students are trained and led by fort staff with fife and drum experience. Volunteers must attend weekly group rehearsals, February through August. Occasional sectional rehearsals or drill camps are scheduled, along with eight to ten performances during the spring and summer. 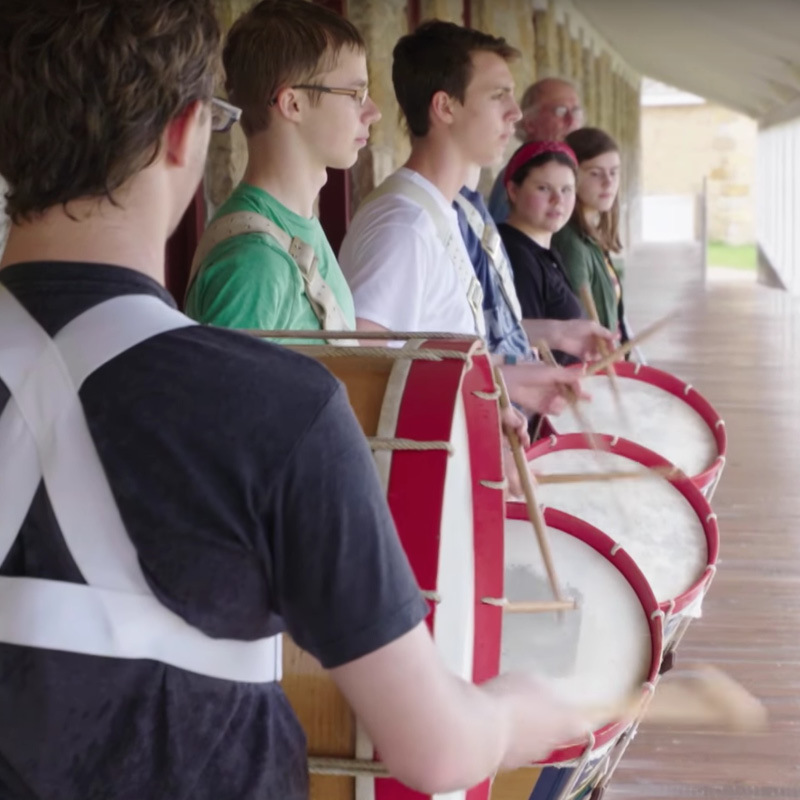 The Historic Fort Snelling Fife and Drum Corps is currently looking for students to perform during the 2018 season! The goal of the Historic Fort Snelling Fife and Drum Corps is to gain a national reputation by performing throughout Minnesota and participating in fife-and-drum musters and clinics across the country. Founded in 1971, when the historic site opened, the corps took a hiatus after only a few years. Music duties at the fort were handled by the interpretive staff, but their performance opportunities were limited. The full corps was revived in 2014 using staff musicians and student volunteers. The musical repertoire now spans from the Revolutionary War through World War II, including the years when Fort Snelling was an active post of the United States Army. Contact Ron Grogg at ron.grogg@mnhs.org or 651-259-3186. Photo credit: Some photos courtesy Cavitt Productions.